About Tarek Atrissi Design Studio. Biography Tarek Atrissi. Lebanese-Dutch Tarek Atrissi is one of most recognized designers across the Arab world. He has gained an international reputation for his graphic work and has received prestigious awards and honors through his design career. He established in 2000 his Netherlands-based design studio, Tarek Atrissi Design (www.atrissi.com). The studio’s typographic and cross cultural design approach produced projects that left a significant influence on the contemporary graphic design landscape in the Middle East. Atrissi was listed in 2017 as one of the most influential 100 Lebanese professional figures around the globe. Born in Beirut, Tarek Atrissi has worked, lived and studied in Lebanon, The Netherlands, Qatar, Dubai, Spain and the United States. He holds a Bachelor’s degree in Graphic Design with distinction from the American University of Beirut; a Masters of Arts in Interactive Multimedia from the Utrecht School of the Arts in Holland; and an MFA in Design entrepreneurship from the School of Visual Arts in New York. He holds as well a postgraduate degree in Typeface Design from the type@cooper program of the Cooper Union New York. His work has been exhibited in a group exhibition at the Guggenheim Museum in New York and is in the permanent Design collection of the Affiche Museum in Holland. He has held two solo exhibitions displaying his graphic and typographic work: the first at the VCU Qatar Gallery in Doha, and the second in Amsterdam at De Levante foundation in Amsterdam. His awards include the Type Directors Club’s, two Adobe Design Achievement awards, the Aquent Design award, the Dutch Design award as well as four IBDAA99 awards, among many others. He was selected in 2005 for Print Magazine’s Twenty under Thirty, the international review for the most achieved visual artists below the age of 30. His projects were featured in countless international design magazines and books. He has served as a jury member for international design competitions including TDC in New York; Magdalena Festival in Slovenia; the Adobe Design Achievement Awards in California; as well as the Tehran International Type Design competition. Tarek has taught at the American University in Dubai as well as the Virginia Commonwealth University in Qatar. He currently teaches at the Department of Art, Media and Technology at the Utrecht School of the Arts in Holland. He has given public lectures about design and visual culture in universities and design conferences in more than 20 different countries. Atrissi writes regularly about design and his design analysis and writing were widely published and have appeared in Print Magazines and several books by Steven Heller. His research focuses on visual culture in the Middle East as well as the history of Graphic Design practice in the Arab World. He is a founding member of The Design Alliance Asia, one of the most extensive collaborative networks of designers in Asia with a shared vision of advancing Asian identity as a vital cultural force and a strategic platform for design. 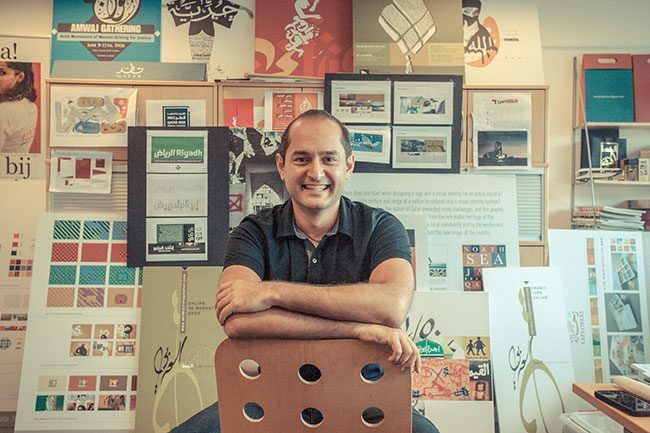 As principal designer at Tarek Atrissi Design, Tarek has developed a key focus in the studio on branding and bilingual typography; cross cultural graphic design; Arabic type design as well as exhibition design. 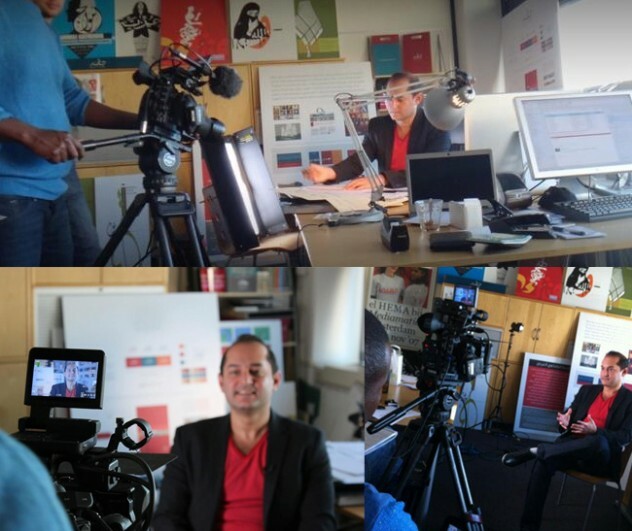 His clients include Apple; The V&A museum in London; Mathaf Arab Museum of Modern Art in Qatar; BBC and the Arab Thought Foundation. The Studio’s projects included designing the visual identity for the country of Qatar in 2004; Designing brands for international companies such as Estee Lauder and L’Oreal; as well as many other non-profit and small or start up businesses. Atrissi has designed custom Arabic & multilingual typefaces for major organizations and companies across the Arab world and distributes his other typefaces on the Arabic Typography portal www.arabictypography.com. Tarek was previously a creative director for Meta Design in Germany, and has consulted with international branding & communication firms such as Wolf Ollins; Futurebrand and Interbrand. Tarek Atrissi became a Dutch citizen in 2007, and currently holds the dual Lebanese and Dutch Citizenships. He speaks Arabic, French, English and Dutch and is currently working hard on his Spanish. When he is not on Instagram, he is walking across the streets of different cities in the Arab world documenting its urban typographic landscape. 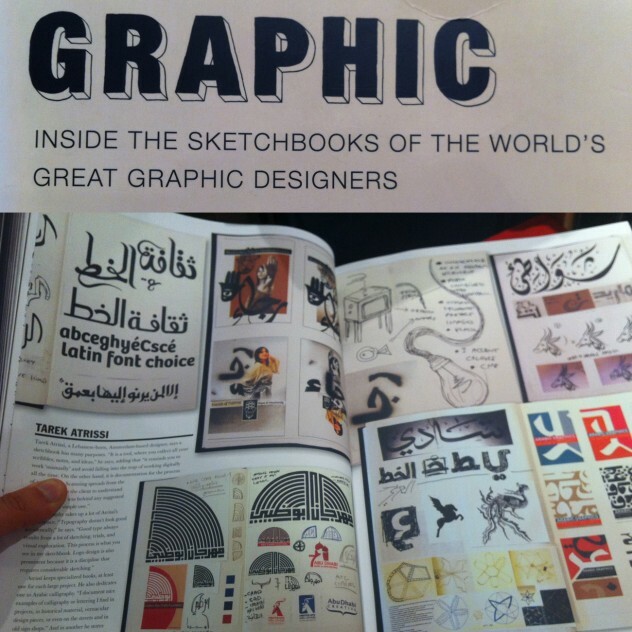 Tarek Atrissi’s work featured in Steven Heller’s book: “Inside the sketchbooks of the world’s great graphic designers”.